I made a big mistake with this one! The eyes say it all. They give away how tired I feel, and now I’m in my late twenties, finding effective products that’ll keep my skin healthy is my only goal. I’ve always noticed long-term healthy changes to my skin where Retinol is involved. Retinol is Vitamin A, which the body then converts to Retinoic Acid. The latter encourages cell growth, prevents the breakdown of collagen, and thickens the layer of skin where wrinkles begin to emerge. The Peter Thomas Roth Retinol Fusion PM Eye Cream is formulated with 1% microencapsulated Retinol, which it claims stabilises the Retinol and ensures a sustained time release throughout eight hours. The microcapsules break when they make contact with the skin, meaning the retinol making impact is at its most active. 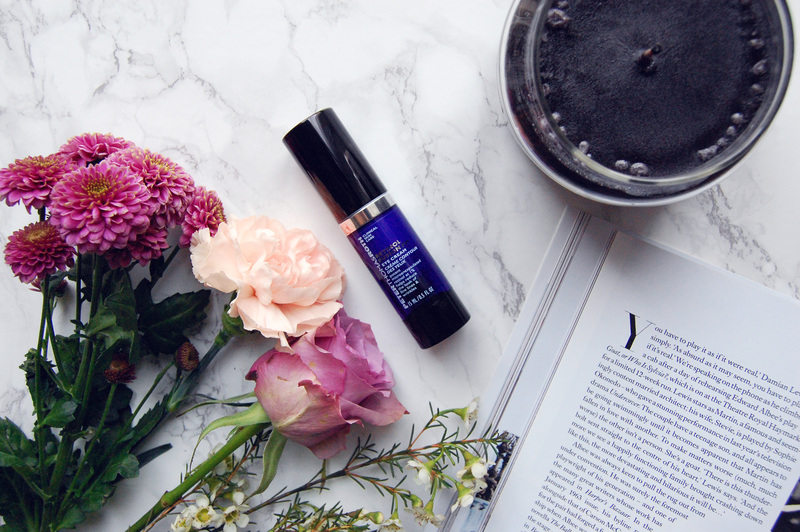 That being said, the dark blue tube and pump dispenser shield the formula from free radical exposure, as retinol is compromised by oxygen and light. Aside from Retinol, this cream contains hydrating ingredients including caffeine, shea butter, aloe, sunflower seed and avocado oil, amino and citric acids, all wonderful and beneficial, but in checking the ingredients I missed a crucial one: Isoparaffin, a mineral oil. Ingredients: Water, Glyceryl Stearate, Caprylic/Capric Triglyceride, Cetyl Alcohol, Propylene Glycol Stearate, Cera Alba (Beeswax), Caffeine, Retinol, Butyrospermum Parkii (Shea) Butter, Persea Gratissima (Avocado) Oil, Ascorbic Acid, Retinyl Palmitate, Tocopheryl Acetate, Sodium Hyaluronate, Sodium PCA, BHT, Superoxide Dismutase, Squalane, Aloe Barbadensis Leaf Juice, Soluble Collagen, Hydrolyzed Elastin, Lecithin, Allantoin, Panthenol, Ceramide NP, Echinacea Purpurea Extract, Algae Extract, C13-14 Isoparaffin, Foeniculum Vulgare (Fennel) Seed Extract, Rosa Canina Fruit Oil, Viola Tricolor Extract, Camellia Sinensis Leaf Extract, Dimethicone, Helianthus Annuus (Sunflower) Seed Oil, Wheat Amino Acids, Potassium Phosphate, Leuconostoc/Radish Root Ferment Filtrate, Citric Acid, Disodium EDTA, Carbomer, Triethanolamine, Steapyrium Chloride, Polyacrylamide, Polysorbate 20, Oleic Acid, Soy Acid, Laureth-7, Ascorbyl Methylsilanol Pectinate, EDTA, Methylpropanediol, Butylene Glycol, Propylene Glycol, Potassium Sorbate, Sodium Benzoate, Pentylene Glycol, Alcohol, Phenoxyethanol. So, has it improved the health of my under-eye area? Yes. Has it reduced the appearance of my fine lines and dark circles? Yes and no. Are the results consistent? Most definitely. And does my skin appear healthier and more hydrated? Absolutely! But am I going to repurchase? No. By now, I know which side of the mineral oil debate I fall on. I avoid it at all costs. It’s not a harmful ingredient per say, but it’s mostly used a thickener which says a lot. I’m not comfortable with mineral oils clogging my pores over time, especially the delicate under-eye area, which will only make my eyes look puffier. I’ll be far more careful when reading ingredient lists from now on! It’s disappointing though, because there’s so much good to this eye cream, but I’ll just have to find something better. Which is your favourite eye cream? And are you pro or against mineral oil?